Waterless Toilets seem to making their way into the mainstream world of plumbing fixtures. While waterless is still a new concept for homeowners, this may be a great way to learn all about the new environmentally friendly way to use the toilet. The Sun-Mar Dry Toilet is a designed to be used with the Centrex 2000 Air Flow System and the Centrex 3000 Air Flow for composting systems. 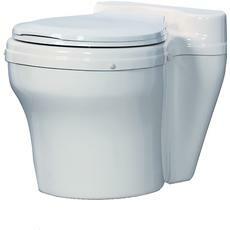 This toilet is available in white and has a seat height of 15 inches and a standard regular size toilet seat. 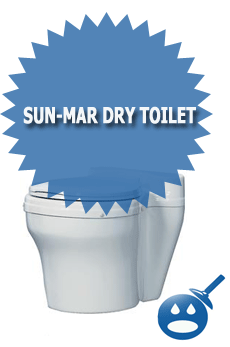 The Sun-Mar Dry Toilet is a durable and reliable water free toilet. When the Sun-Mar Dry Toilet is assembled it comes in measurements of 23 inches in depth x 16 inches in height x 16 inches in width. The Sun-Mar is lightweight and weighs about 13 pounds. This toilet since it does not need any water is compact and can fit in any location. The venting system of the Sun-Mar Dry Toilet on all Air Flow Systems will take in air down into the toilet that will prevent the odors in the bathroom from escaping. If you are using a Centrex 3000 Composting System, you have to make sure that the toilet is not too high over the composter otherwise you may have trouble with ventilation. It is recommended that the Sun-Mar Dry Toilet be installed with a direct vent system. 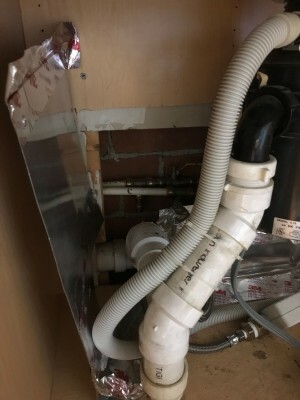 Use a 3″ or a 4″ vent pipe that has flexibility to be installed in the back right or back lefty of the toilet. If you feel more comfortable you can install a 12 Volt fan for extra sense of sanitation. There are some benefits to using the Sun-Mar Dry Toilet, one of these benefits are that you can save a lot of money. With these toilets being waterless you can save money on the water bill as well as the energy bills too. These toilets have dry liners that fit perfectly under the seat and can be removed with ease anytime you desire. If you are into saving the environment then the Sun Mar Dry Toilet is something that may be perfect in your home. But the thing to remember when you purchase these toilets is that while you are saving money on the energy bill and the water bill you have to also make the time to clean out these toilets too. Some people like the convenience of simply flushing and mobbing on; there is something to be said for trying to contribute for a better earth. With composting toilets, the waste can be used for compost and put back into the earth. Take a look at the Sun mar Dry Toilet, they can be found in your local Home Depot locations.